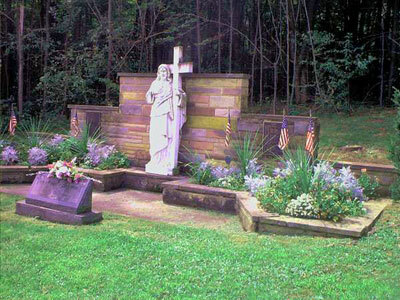 Our Lady of Mount Carmel Cemetery is located on Cemetery Street in Lilly. From Route 53 North, turn left onto Cleveland Street, go one short block, then make a left onto Main Street, turn right onto Washington Street (which takes you over a bridge), make a right turn onto George Street, go one block and turn left on to Church Street, go two blocks and make a left turn onto Cemetery Street. You will pass St. Brigid's Cemetery on the left; Mt. Carmel is a little farther down the road on the right.